If we can ask you what would be the two words that best describe Cats, what they would be? We guess that would be ‘Funny‘ and ‘Irritating‘. Funny because there is no animal funnier than cats and irritating because cats love to irritate humans, they think that humans are their slaves. 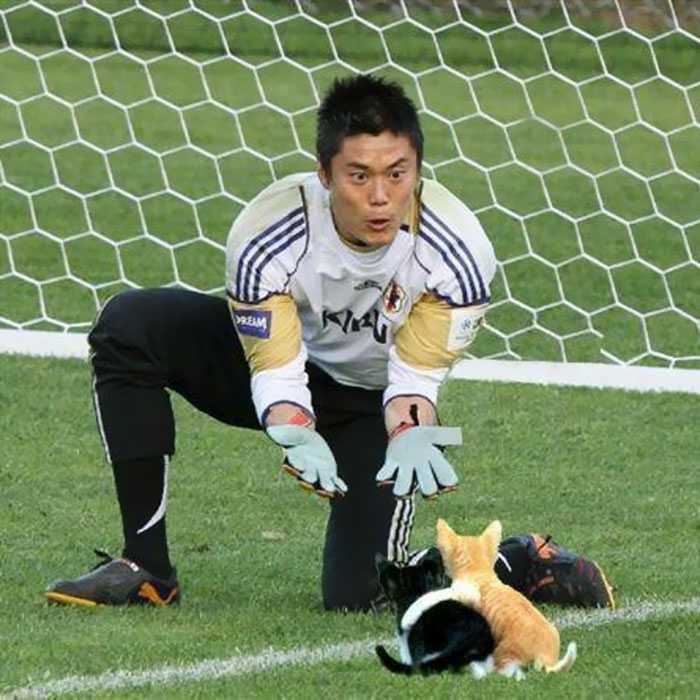 People also love to talk about them and no doubt, cats are their favourite animal when it comes to creating funny pictures in photoshop. 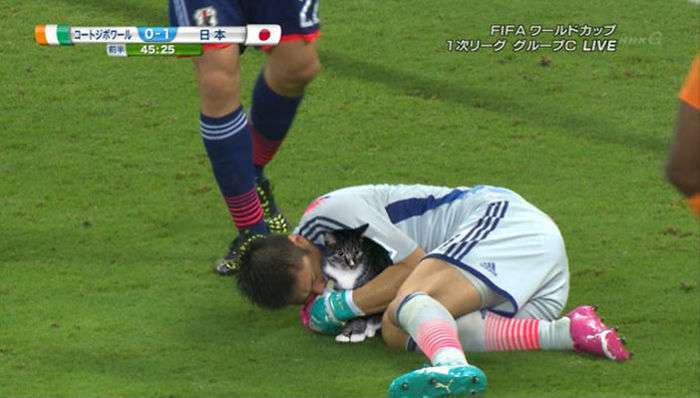 These days people are enjoying by photoshopping cats into football and the results are hilarious. 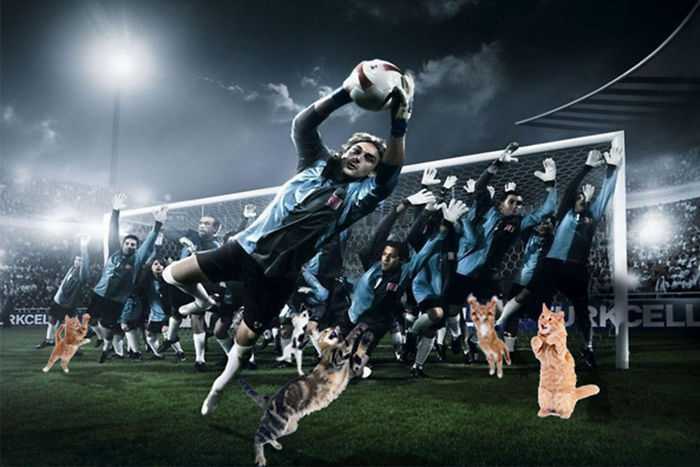 Believe us that below pictures of cats photoshopped into football pictures will make your day. These pictures are so funny that you won’t be able to stop yourselves from laughing. 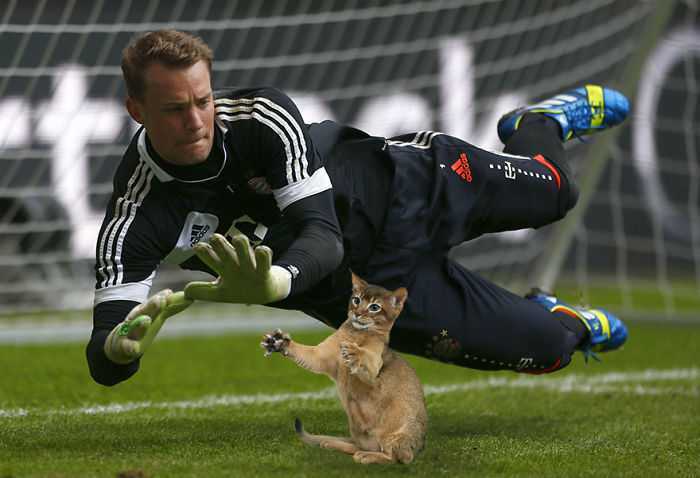 Let’s check out the creations of some hilarious people that are photoshopping cats into football pictures. 1. These cats are mine, I won’t give them to anyone else. 2. 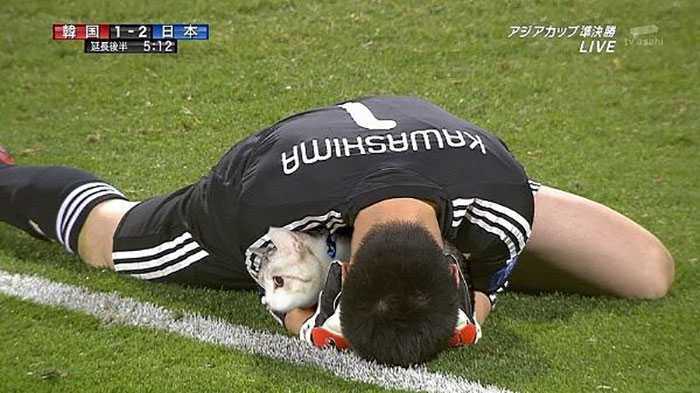 OMG, I would never ever leave this cat for anything. 3. That’s what we call ‘Team Spirit’. 4. Can you guess how many cats are hiding in there? 5. The magic touch that makes you love your cat more. 6. How big was that? Oh! That big. 7. One of the greatest head butts of all time. 8. How can these two cats be that much cute? 9. 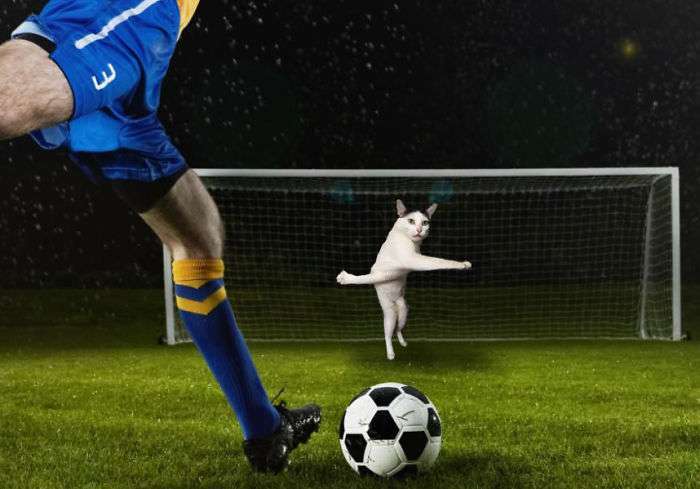 It seems like people are really enjoying photoshopping cats into Football pictures. 10. Meet the world’s very first Kung Fu Cat here. Don’t miss: 10 Of The Hilarious Cat Photobombs That Are Ever Seen. 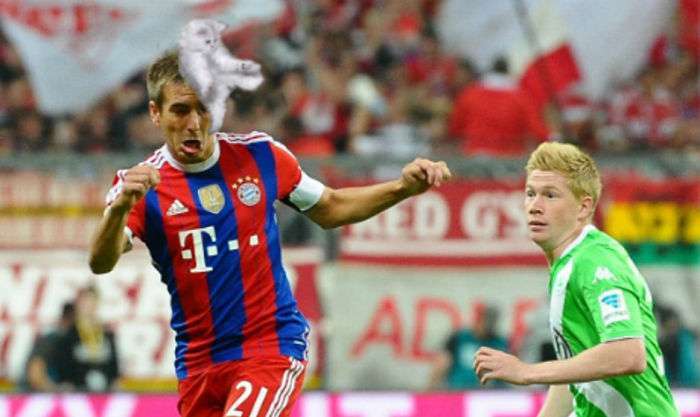 Aren’t the above-photoshopped pictures hilarious? If you also love photoshopping cats in different pictures, do submit your entries in the link given below before the contest closes.